​If you are interested in pick of the litter you need to make sure you have your deposit in first. From time to time we are able to assist in placing older Weims with new families. If your looking for an already potty trained Weim please contact me. Please make sure to contact me before adding your information. ​We understand price is always a consideration, but it costs even the most passionate dog breeder to raise quality pups. Many inquiries start off saying they don't want a Show Dog, a Hunting Companion, or anything special. Please call or email us for the cost of the puppies. Let’s put the cost in perspective. How much do you pay a year for cable/internet? This is less than that (unless you don’t have internet). One of our babies will last you up to 14 years if taken care of and will be your best friend. The cost of the puppies has been carefully considered based on the current economy and the increase in expenses in which it takes to breed such as Microchip fees and expenses, litter care including vet care, feeding, supplies etc. We reserve the right to pick of the litter. If you would like next pick of the litter it is imperative you have a deposit placed in advanced or as early as we post that we are having puppies. 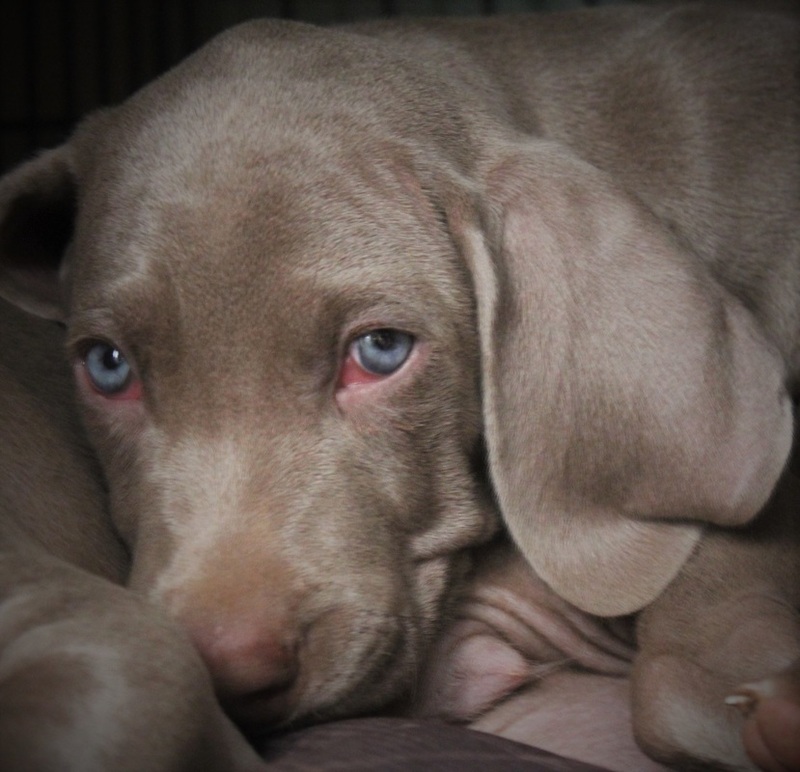 When adopting from us, know that you are receiving an AKC Certified Pedigree Weimaraner. Deposit -Your Choice of Pick in Litter/Litter's by date received, non-refundable $250 deposit per puppy. AKC Reunite Microchipped and registration . Tails "Show" Docked and Dew-Claws removed by Vet. Groomed Weekly, toe nails, ears cleaned, the works!